The other week while we were on vacation, my mom and I took a lazy afternoon stroll around the tiny town we were staying in. (I was secretly hoping that we’d find a coffee shop, but no such luck.) We did find a bowling alley, a post office that was only open Mondays, Tuesdays, and Fridays and someone with what I can only call a “Shrine to America” in their front yard (complete with a fairly creepy Uncle Sam doll). I’m not a big antiquing gal, but Mom was in the market for antique windows to decorate for a project, so we went in on a treasure hunt. Unfortunately, we didn’t find any windows, but we did find something, buried among the VHS tapes and decrepit Furbies. It’s a teeny, tiny sewing machine! It’s only 5 inches tall (6 if you include the spool of thread on top)! 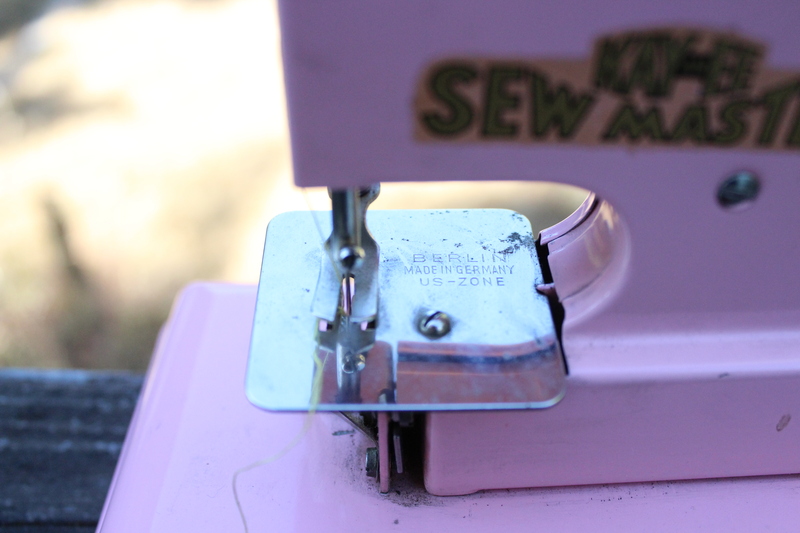 It’s a vintage, miniature, toy sewing machine- and it actually works! It’s got a real sewing needle and everything! It needs a little cleaning, and a bit of TLC (and a new hand wheel, but that’s not 100% necessary to make it work), but it’s in remarkably good condition. It was manufactured in the US-controlled zone of Berlin, so we can date it to the late 40’s or early 50s. I need to see if I can do something about the tension- it’s a little tight. And, this is neat! Since it’s just a toy, it doesn’t have a bobbin. 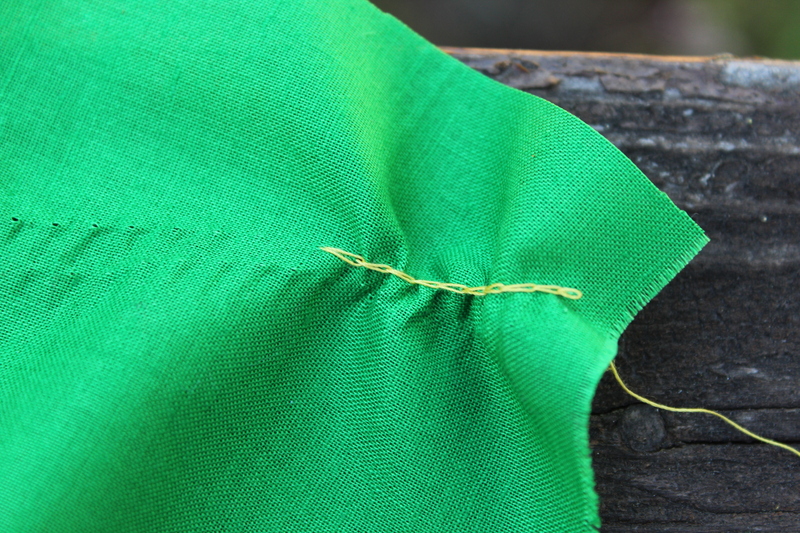 So, when you look at the back of the fabric, you can see that it makes a chain stitch! 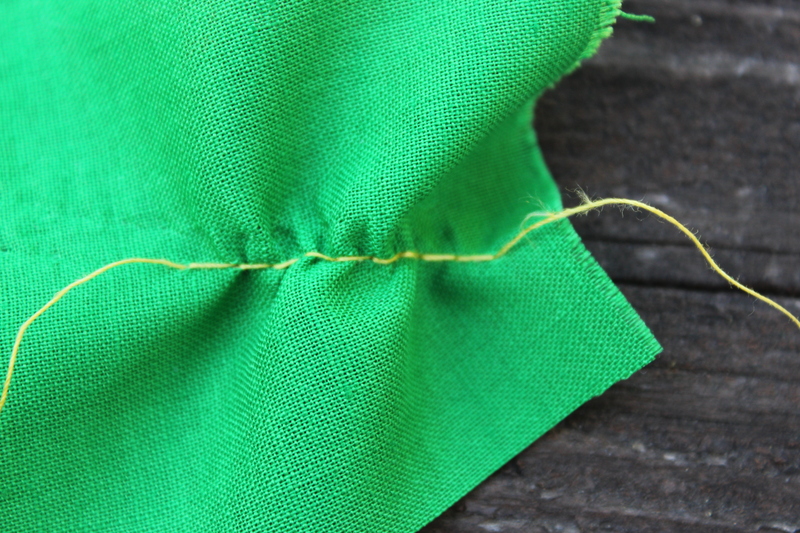 (The chain stitch falls apart if you look at it the wrong way, so it’s not super practical. 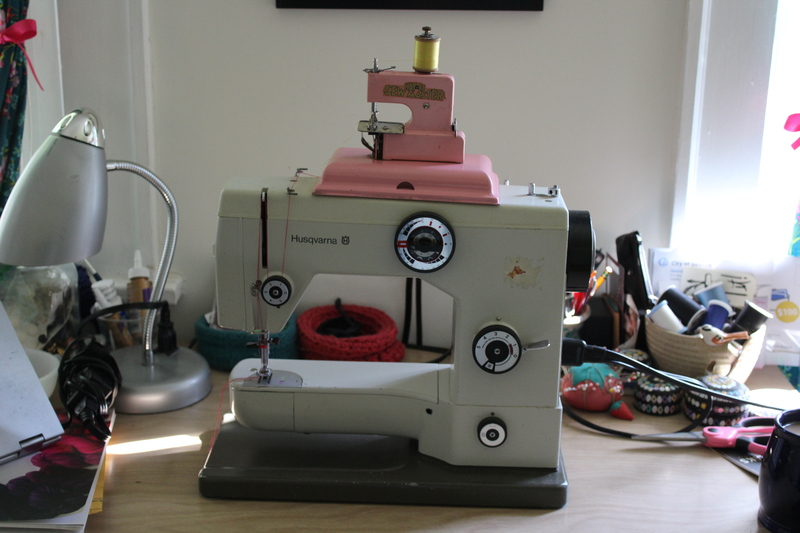 But, I’ve never seen a sewing machine that is quite like this one!) I’ve got a bit of work before my new sewing machine is up and in tip-top shape again, but that’s OK with me. I think it’s pretty hilarious as-is. It really made my day when I found it. And I think it looks pretty cute, sitting on top of my full-size machine. What’s your favorite thrift-store find? Also, if you know where to find hand cranks for vintage miniature sewing machines- I’m in the market! 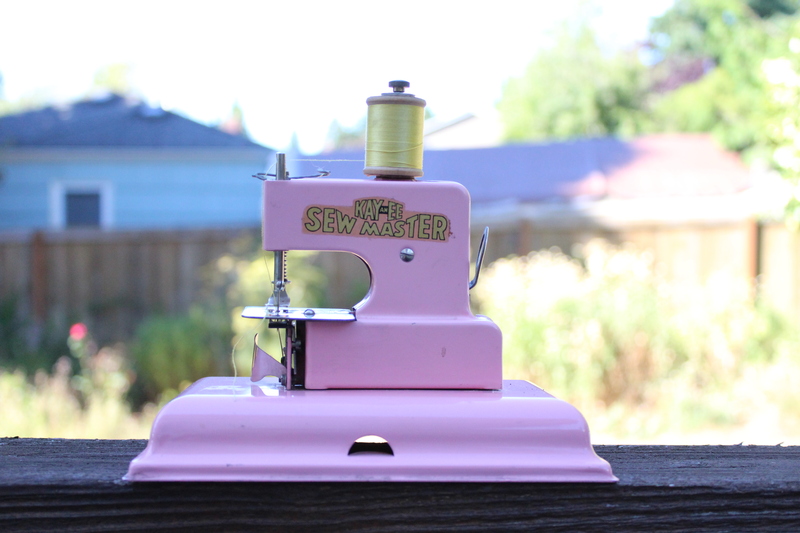 This entry was posted in FYI and tagged kay an ee sew master, sewing, sewing machine, thrift store, toy, vintage on August 16, 2017 by onemilljellybeans. That’s so cute and cool! And how awesome that it actually works!! !